You know how you can walk through an airport and not lose Wi-Fi? That’s got to be some trick when you realize that a Wi-Fi signal can reach 100 or 150 feet, sometimes less. Did you ever wonder how they do that? The answer is mesh networking. Mesh networking takes multiple access points and hot spots and makes them aware of each other, so that as you move you can jump from one to another without losing signal. It’s kind of like a simple version of the cellular protocol used by your phone. The big difference is that you can build a mesh network yourself. With a mesh network, you can have one wireless network name that’s used by several devices without problems. The devices cooperate so that their signals don’t overlap enough to cause problems. This is usually done with some sort of setup program that runs on a PC and helps each access point know where they are in relation to other access points. The program doesn’t need to run on the PC all the time, just during the setup phase. When all the access points are working properly, they all act like a single access point making it easier to get internet service over a large area. In some cases your router is part of the mesh network, although in most cases this is a more industrial setup with a separate router and separate firewall device. Right now, the two big names in mesh networking are Ubiquiti and Open-Mesh. 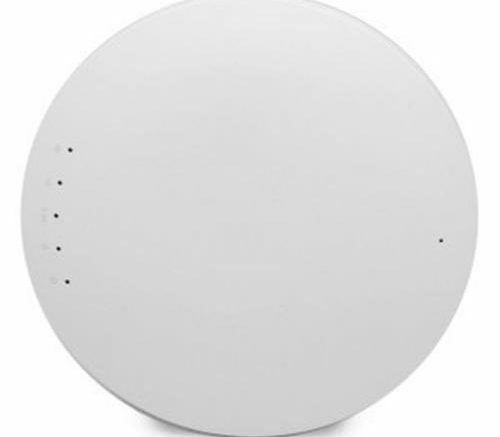 Ubiquiti is known for having a wide variety of products that work together from routers to external antennas, and for providing solutions that let you send information wirelessly up to 8 miles from point to point. Open-Mesh is known for having indoor solutions that go together and are configured much more easily. Both are very well known brands with great support options from the manufacturer and support communities, and it’s really up to you to decide which makes more sense for you. Of course, both are available at Solid Signal. Why would you want to have a mesh network? In general, homes don’t need them, as a single well-placed router can be enough to cover most homes. On the other hand, using outdoor access points, you can cover a large backyard if you want. If your business has a warehouse or multiple outbuildings, you’re definitely going to want to use a mesh network because it’s going to make it easier to keep your information secure by confining it to a single wireless network. When you’re ready to get serious about wireless networking, you know that Solid Signal is here to help you with everything you need. Give us a call at 877.312.4547 for a custom quote! Are you “safe enough” with Windows Firewall?